In early October Jongert announced a fantastic result following the Monaco Yacht Show. No less than two major contracts were signed to build motor yachts of 44 and 43 metres in length. Today, Jongert again sends good news with another signed contract and refit activity. This new contract was signed during the latest Fort Lauderdale International Boat Show with a repeat client. The order is for a 34m sailing yacht, the 3400M, an extended version of the recently introduced 3000M series designed by Frers Naval Architects. No delivery date is known for the moment, but it shouldn't be before fall 2013. Another important activity these days for yards is the refit business, and here Jongert also announces good news with the arrival at their yard of Vivid. 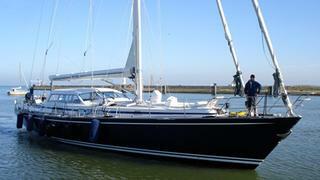 Built by the Dutch yard in 2001 as a Jongert 2700M, this sailing yacht has a length of 26.70m. A major winter refit will be carried out in co-operation with the Sea-Alliance Group. Finally, Jongert confirms it will be exhibiting at the Boot Dusseldorf boat show from 21 to 29 January 2012.